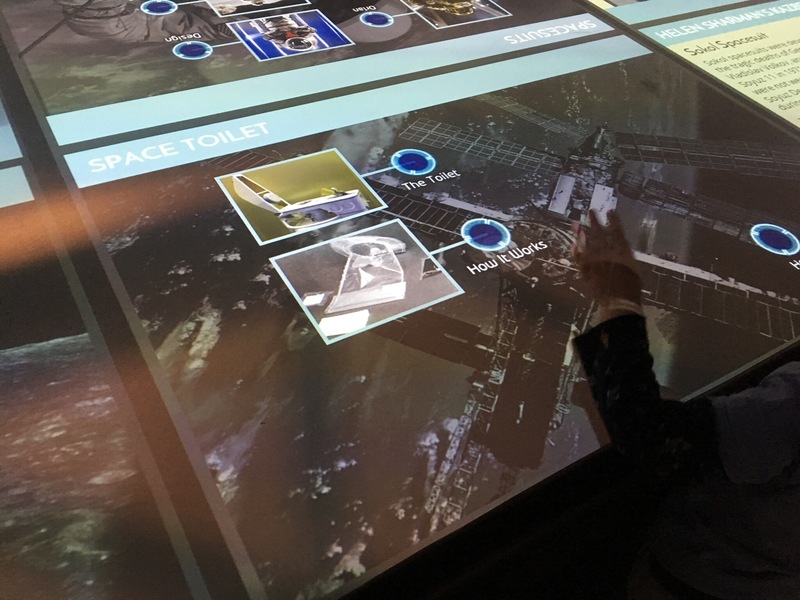 We were thrilled to be invited as a family to the National Space Centre in Leicester last week. A fantastic and inspiring day out! The National Space Centre is found on Exploration Drive in Leicester (LE4 5NS) which is just off the A6 on your way into Leicester, south of Birstall. 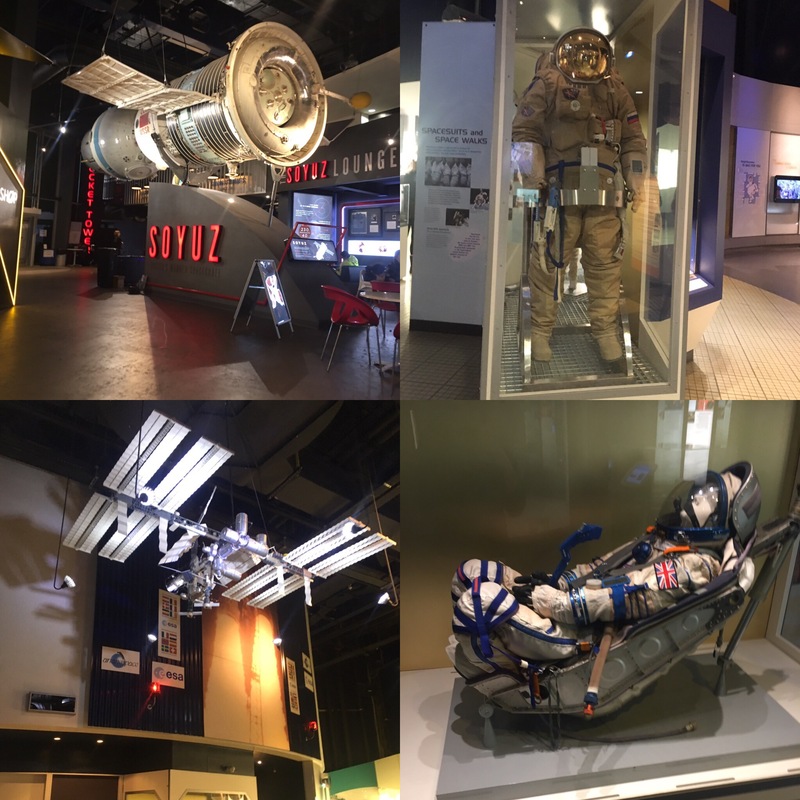 When we were there we also met up with the lovely people who run The National Space Centre after our visit to discuss how they cater for children with Special Educational Needs and Disabilities (SEND). They also emailed us lots of useful information after our visit about what they are currently doing to make their venue inclusive and their hopes for the future. 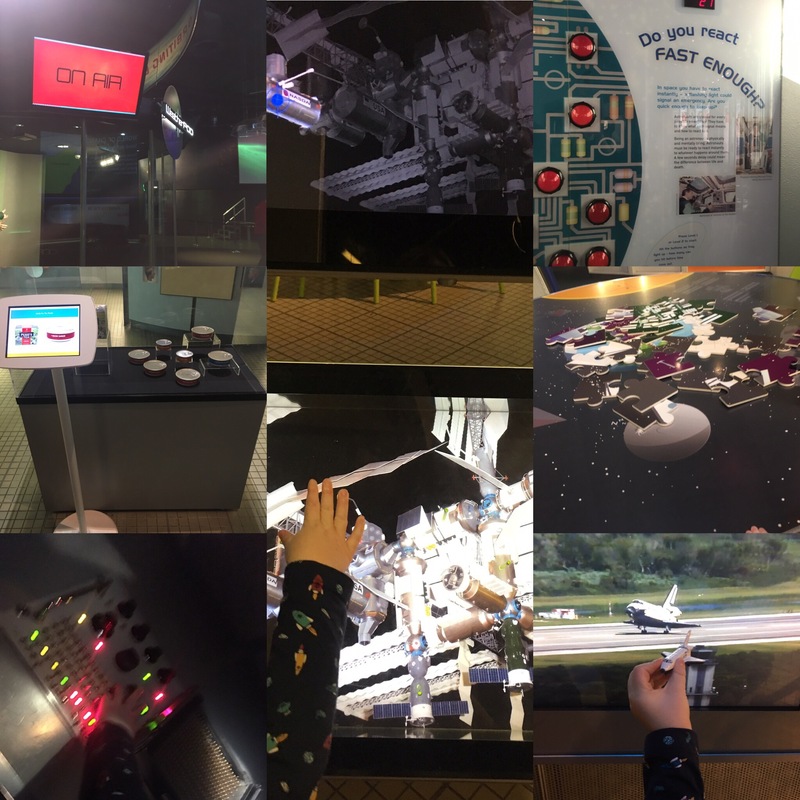 What did we like about the National Space Centre? Awe Inspiring– There was so much to see, starting with the huge Satellite suspended from the ceiling in the foyer! 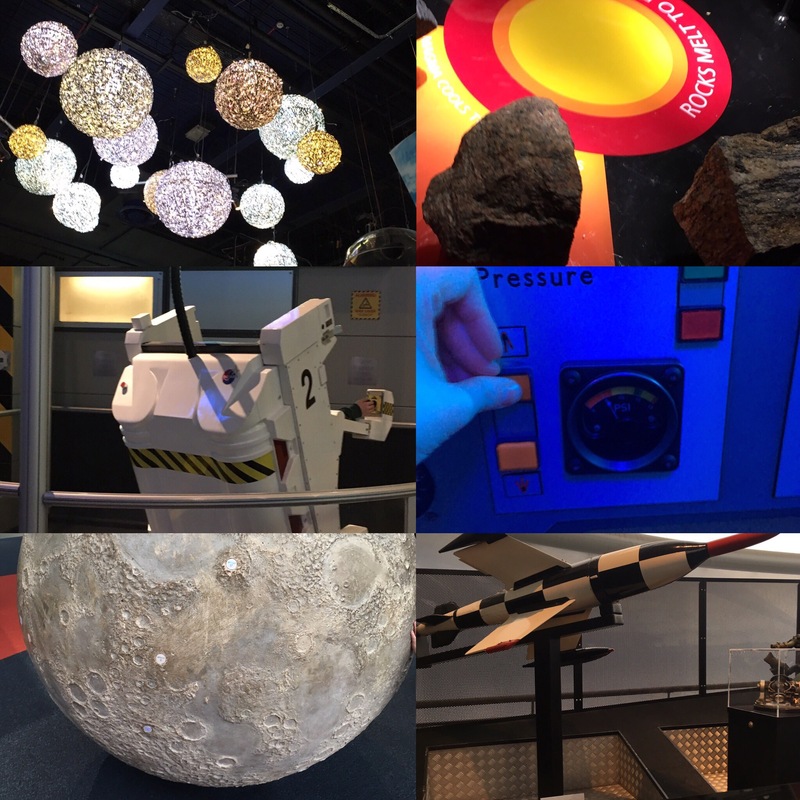 We enjoyed spotting and discussing the amazing space related items throughout the venue; including the space suits, planet models, rockets and even a real piece of the moon! 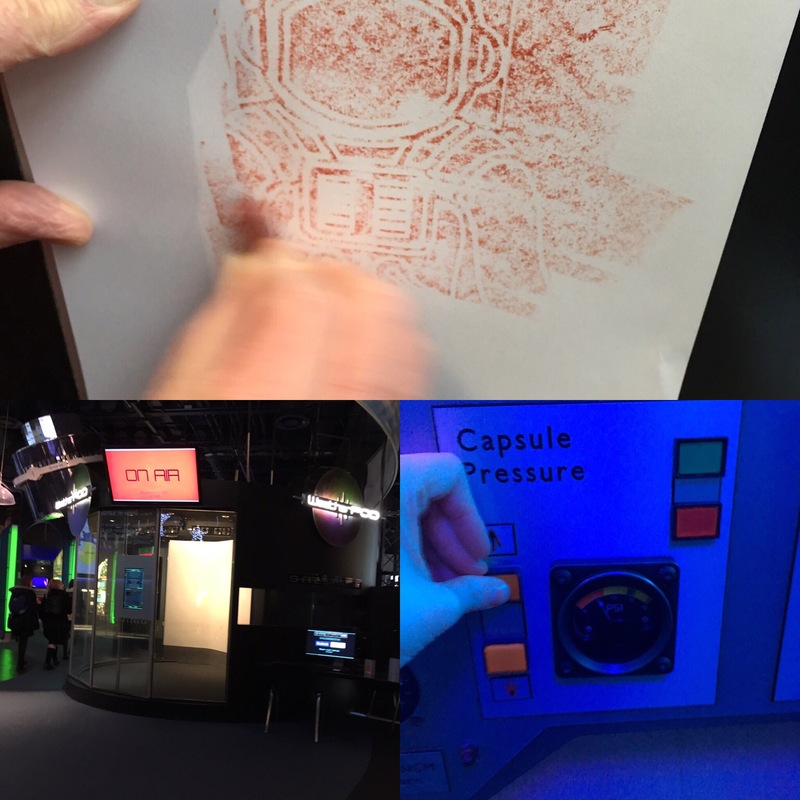 Interactive- One of the things we particularly loved about the space centre were the interactive activities. Great for engaging children of all ages. We presented our own pretend weather forecast, tested our reaction speeds, pressed ALOT of buttons (always fun! ), used the interactive touch table, created our own sound waves and even did space themed wax crayon rubbings! Planetarium (and mini planetarium!) – One of the highlights of our trip was the show we watched in the Sir Patrick Moore Planetarium; the biggest planetarium in the UK. We watched the We Are Stars Show, which explains the scientific theory of our origin. Absolutely incredible experience. 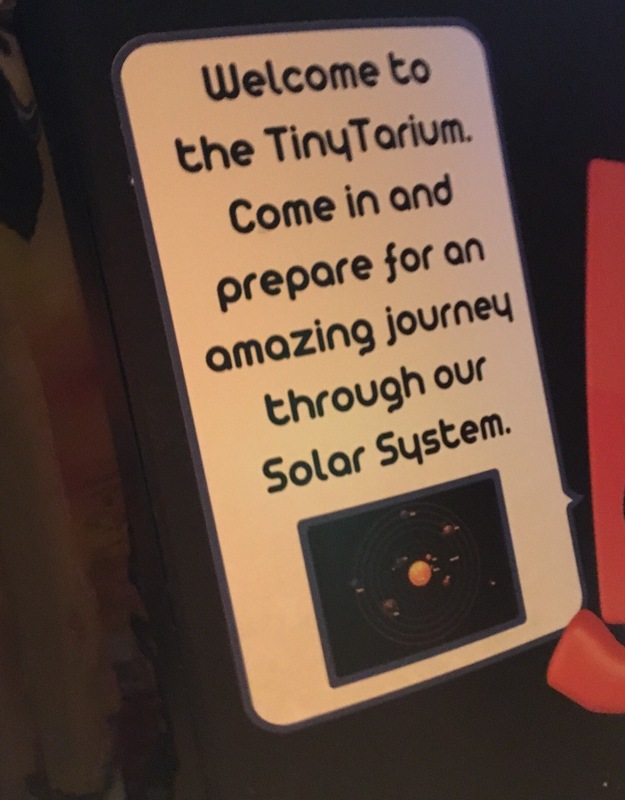 And for littler ones (or anyone else who finds the planetarium a bit overwhelming) there’s a smaller version that you can walk in and out of when you want to called the TinyTarium . Little Things That Make a Difference- The Space Centre’s attention to detail was really impressive. 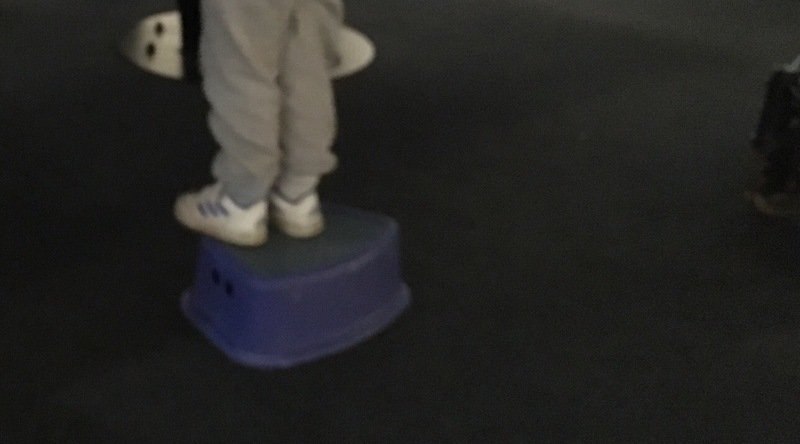 Little things like having a step for small children to be able to access the activities really makes a difference. Experience Rockets & Space Centre! 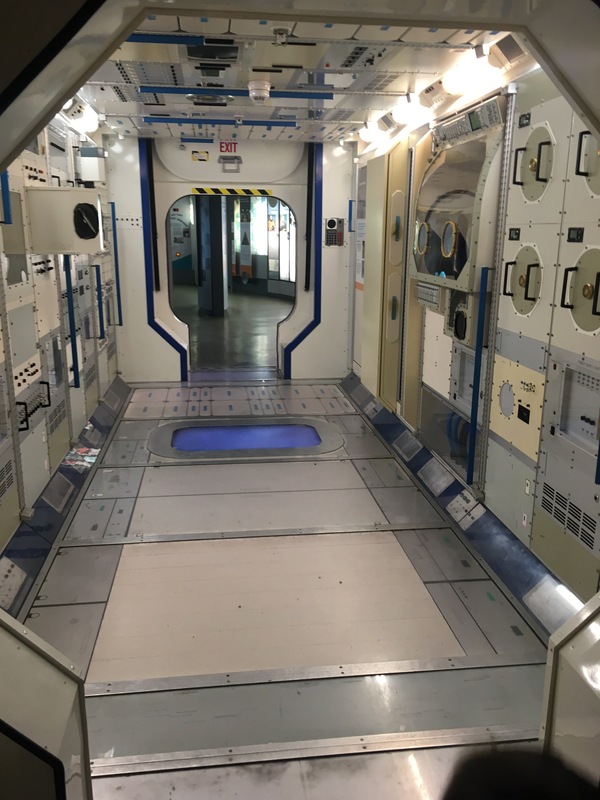 We loved walking through the mock up Columbus module of the International Space Centre, where you can even see the what the shower inside the space centre looks like! 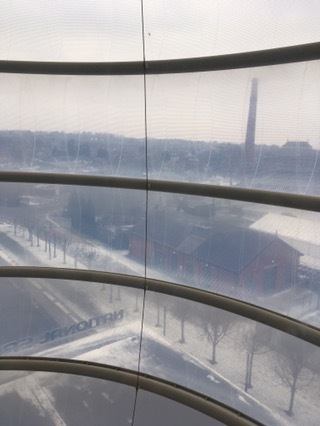 We also absolutely adored going up the rocket tower by the lift (our view of a very snowy Leicester was pretty good!) 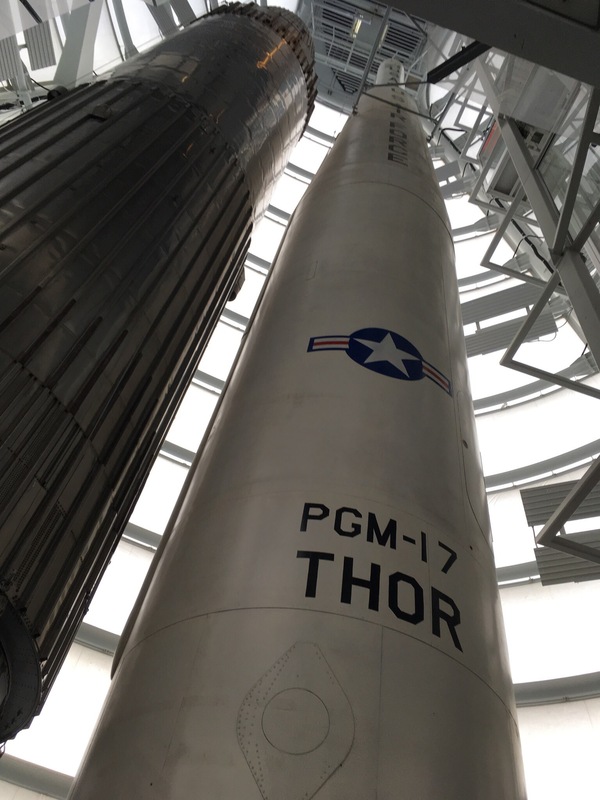 The Blue Streak and Thor Able rockets were incredible! As I mentioned, The National Space Centre were brilliant at explaining to us about how they ensure inclusivity and support for SEND. They were also very open to our suggestions and advice. What is the Space Centre currently doing to ensure their venue is inclusive for children with special educational needs and disabilities? They have recently lowered noise levels or removed sound effects from a number of exhibits that had been reported as causing distress. They have successfully trialled an Access Fast Track Pass which they plan to make available during busy events. This scheme provides visitors attending with a carer, a physical pass which allows them to be fast tracked through queues and gain access to a specified ‘quiet space’ throughout the day. They have ear defenders available for use during your visit, free of charge. They endeavour to offer a quiet space whenever possible. They also conveyed that whenever a visitor makes them aware of their additional needs, they will do everything they can to accommodate their request. What is in development for the future? Story Book – They are currently developing a story book/guide that will assist visitors by allowing them to familiarise themselves with the centre before arriving. It will cover how to get into the building as well as what to expect in terms of sights, sounds and smells once inside. Access Packs – They are currently trialling items for their access packs. We were unsure whether to visit the national space centre as our son is very very interested in anything to do with space but didn’t know if he would be able to cope with the crowds and noise! I like the idea they provide ear defenders and going to introduce fast track passes during busy times. It’s now on our ‘things to do’ list (underlined a number of times! ! Thanks for your review.